If your landing page has a weak call-to-action, don't worry. Here are five ways to make your call-to-action statement much, much stronger. This article is part one of a five-part series on online lead generation. The information used in this series is the result of many conversations with a mentor of mine, Andrew Pawlak, who is an industry authority and CEO of leadPops, a cutting-edge landing page solution. A call-to-action is a statement that tells your audience exactly what you want them to do the second they get to your landing page. In most cases it is one or two sentences using urgent, active language to stimulate a response from your visitor. In certain instances, a call-to-action may be located within an advertisement or other area that stands out from the rest of the page. What makes a weak call-to-action? A weak call-to-action is exactly what it says: weak! According to Nielsen Norman Group, the bounce rate of a well-built landing page is 70-90 percent and a visitor won’t last more than 10-20 seconds on a site. So if a visitor is plopping down on your landing page and wondering what they are supposed to do, your call-to-action isn’t strong enough. 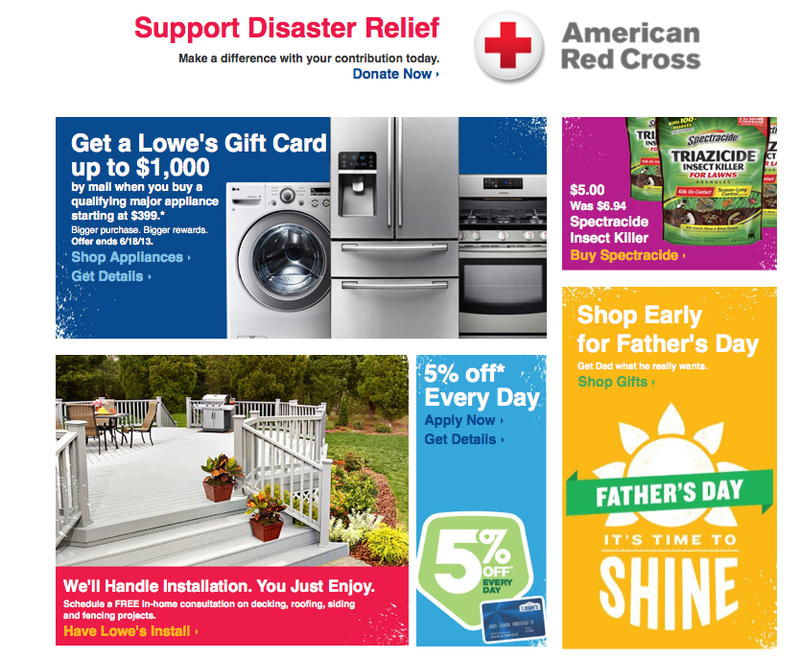 The call-to-action that stands out the most is the disaster relief donate options. Although this is important, I don’t think it is the ideal action Lowe’s would like you to make when visiting this page. This differs slightly from information overload because this focuses on the amount of text included in your call-to-action. Some landing pages will have the call-to-action be a headline statement with some bulletpoints supporting that claim. Others will toss everything about their product or service at you all at once. 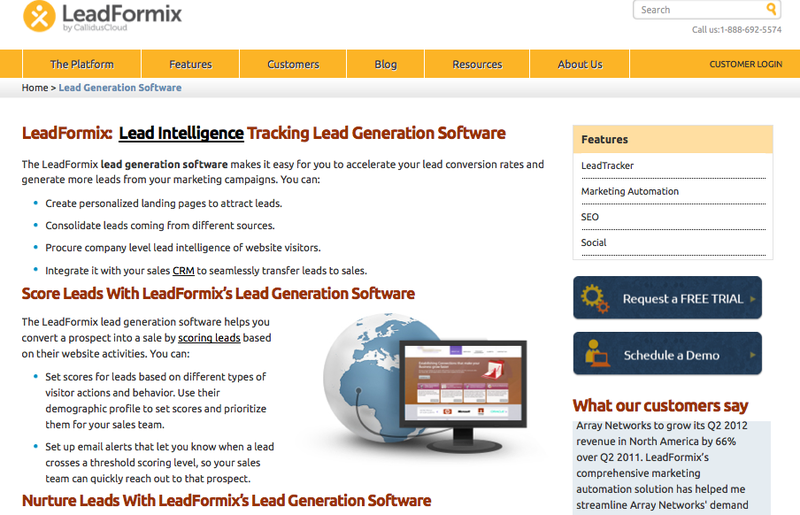 The latter is experienced when visiting LeadFormix, which, oddly enough, is a lead generation software. There is so much text on this page your head will hurt, your eyes will sting, and you will leave not a customer. It is extremely difficult to read the text let alone find the call-to-action which should be directing you to enter their sales funnel. Design can be extremely powerful when influencing people to make a decision. It can also go overboard very quickly and destroy a successful landing page by leaving visitors attention cluttered by images and not allowing them to focus on the purpose of the page. 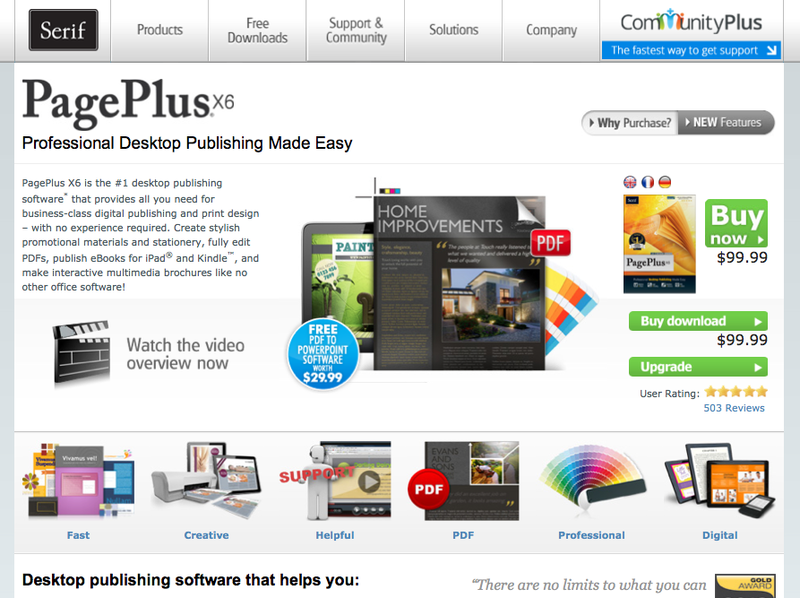 This was experienced when visiting the PagePlus x6 webpage for the first time. You will notice they cram six images along the bottom that are accompanied with text and a link to the respective page for more information. This distracts visitors away from the main call-to-action which is small and pushed to the right hand side (look for the small green buttons). Not enough information: What am I signing up for? 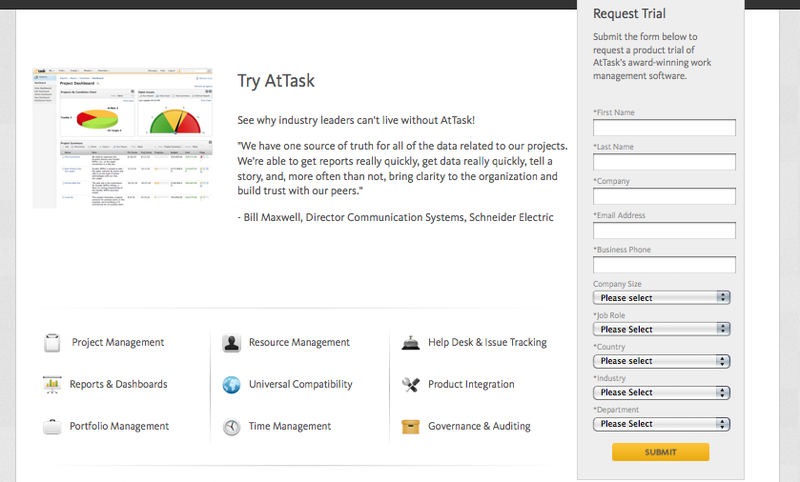 It appears the main call-to-action is “Try AtTask”, which isn’t too bad of an attention grabber. But the font size is small so it doesn’t garner any attention, the color doesn’t make it “pop” to your eyes, there is no explanation about what AtTask really does for you, and the image to support the call-to-action is so small you can barely read it. The list could go on, but I believe you get the gist. Cater to your audience: The key to an effective call-to-action is knowing your audience. The call-to-action statement should be tailored directly to the target audience of your landing page. If your audience likes fishing, a statement like “Become the biggest fish in the pond” will work. Insider jargon will be highly ineffective. Make it pop: If your call-to-action doesn’t stand out, it is worthless. You need your call-to-action to stand out among the other content on your site. Some ways to do this are through differentiating the font size, the font color, and using contrasting colors to the landing pages background. Add some urgency: People are complacent by nature and need to be persuaded to make a decision. This premise holds true on your landing page. Using a call-to-action statement that creates a sense of urgency will help overcome this complacency. Such phrases as “Limited time only,” “Act now,” “Sign up today,” will increase the chance your visitors convert. There are many other ways you can make your call-to-action stronger, but some lie in the landing page design, development, and general functionality. For most people, who aren’t technical, these basic text based changes will have a huge impact. In next weeks post I will be discussing landing page flaw #2, going for the jugular (aka asking for personal details too soon). Michael is an entrepreneur and Internet marketing mentor who specializes in search engine optimization (SEO), social media, web development, paid advertising and other areas of Internet marketing. He's had the pleasure of working with everything from start-ups to Fortune 100 companies in Southern California. Check out his tweets at @michaelgkeating and Internet marketing tips.